Welcome to Orange Park Dental Professionals! At Orange Park Dental Professionals you will recieve comprehensive dental care to maximize your overall health, appearance and confidence. Your highest expectations will be met in a clean, friendly, state of the art facility, utilizing only the finest dentistry has to offer to ensure you recieve the most gentle and complete care available. The best approach to ensure good oral health is through preventative measures. As such, we are committed to fully educating you on your present dental health, advising you on the best options to maintain your oral health, and assisting you with the tools and expertise to ensure optimum results. When dental health issues arise, you will always be treated with the expertise and knowledge of the most up to date technology and techniques available. You can be assured that in addition to professional treatment, you will recieve unparalled care from the entire team. 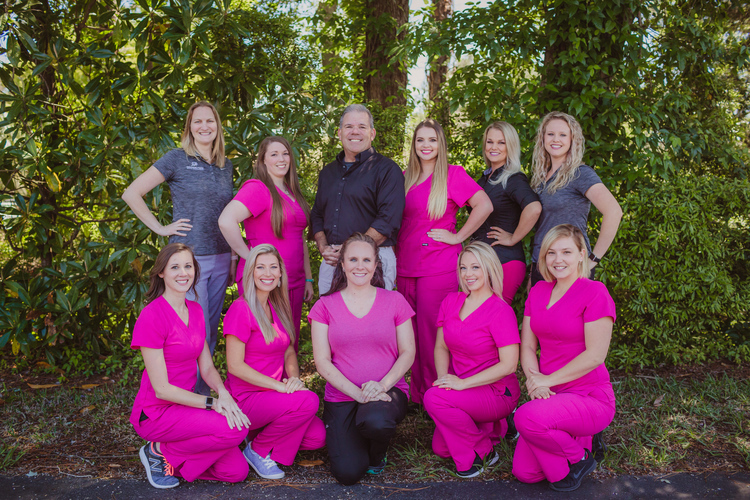 You are the focus at Orange Park Dental Professionals where Dr. Michael McClure will utilize the latest procedures and newest technology to address your family’s unique dental needs. Be fully informed so that you can make the best decisions regarding the dental health of you and your family. Enjoy the genuine, professional care that comes with trusting one of the Jacksonville area’s most loyal dental care providers. Common esthetic dental procedures can be performed to correct misshaped, discolored, chipped or missing teeth. From “laughing gas” to taking a “chill pill” to conscious IV sedation all options are available under one roof.